Summer is almost over in Birmingham. The school buses are getting ready to roll down the block again. The classrooms are being decorated to welcome students back. And germs are preparing to hop from one child to the next. A few sniffles and a cold may be an inevitable part of the back-to-school season, but there are ways you can help to keep your child as healthy as possible. And if you suspect your child’s symptoms may be an indication of something more than the common cold, your Birmingham pediatric ENT (Ear, Nose, and Throat) specialist is available to give you and your kid(s) relief. Get your kids flu shots and other immunization. The U.S. Centers for Disease Control and Prevention (CDC) recommends an annual flu vaccination for everyone over six months old. Ideally, your child should be immunized before school begins, but even a winter vaccine is better than none. Teach everyone in the family to wash their hands frequently with soap and warm water after using the bathroom and before eating, drinking or touching their mouth, eyes or nose. Teach kids to sneeze or cough into the inside of their elbow (rather than into the air or their hands) to prevent the spread of germs. Ideally, they should also carry disposable tissues, throwing them away or flushing them down the toilet after use. If one of your kids is sick at home, disinfect countertops, door knobs and other frequently-touched surfaces. Pack a hand sanitizer in your kid’s backpack for easy disinfection. Pack a pencil box with all the tools they need so they don’t have to borrow from potentially sick kids or use the germ-laden communal pencil sharpener. Teach germ etiquette: Your kids should learn to politely remove themselves from other kids who are coughing, sneezing or have other symptoms. Avoid germ hotels: water fountain spigots and cafeteria trays. Teach kids not to put their mouths on water fountains and not to eat food that drops on a tray. Clean their backpacks, gym bags and lunch boxes regularly. Don’t let your kids share at school — no matter what they were taught in kindergarten! That goes for food, implements, pencils, pens, makeup, lip balm, sports equipment, toys, books and ear buds. Well, there is ONE thing they SHOULD share: Classroom anti-germ supplies. If you have the resources, consider donating antibacterial wipes, tissues and hand sanitizer to your children’s classrooms. A little prevention can go a long way toward helping everyone stay healthy this fall! The above measures may seem like a lot of work but developing those few healthy habits can help avoid the common ailments that strike at school. According to the CDC, about 22 million school days are lost to the upper respiratory infection known as the common cold in the U.S. annually. Adults have two to three colds annually. Children can have more than twice that. Symptoms include nasal congestion, scratchy throats, sore throat, coughing, sneezing, headaches and body aches. Remedy: OTC symptom relief, rest and time. The norovirus is the most common cause of stomach inflammation in the U.S. The CDC estimates it can cause up to 21 million illnesses each year. Symptoms include fever, nausea, vomiting and stomach pain. Remedy: See your pediatric ENT specialist in Birmingham. Seasonal flus tend to peak in the coldest months of the year — January and February — when the weather takes its toll on our immune systems, affecting up to 20 percent of the U.S. population. Similar to a common cold, seasonal flu is a respiratory illness that spreads from person to person contact. Symptoms include coughing, sneezing, watery and/or itchy nose and eyes, fever and body aches. Remedy: See your pediatric ENT specialist. Most commonly caused by the respiratory syncytial virus (RSV), bronchiolitis causes swelling and mucus buildup in the lungs of small children — usually under the age of 2. Symptoms include a runny nose, cough, fever, shortness of breath and wheezing. Visit WebMD.com to learn more about bronchiolitis. Otherwise known as sinusitis, a sinus infection usually affects children above the age of 6. While it can sometimes be mistaken for a common cold, its symptoms — including fever — differentiate it and require medical attention. Symptoms include similar to cold symptoms, persistent cough, significant fever, ear pain and/or dental pain. As soon as you suspect your child might have something more than a little cold, the board-certified physicians at Pediatric ENT Associates are ready to help you find a remedy. Contact us today to schedule an appointment with our pediatric experts in Birmingham! 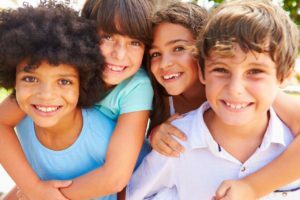 Next, read Why Choose a Pediatric ENT Specialist for Your Child?